Varela anti-corruption pledge "lost 5 years"
The anticorruption agenda of the Legislative and Executive closed 2018 in the red say, civic activists and commentators, with the Independent Movement (Movin) which gave strong support to President Varela during his election campaign calling his term "a lost five years" in strengthening the legal framework in the fight against corruption. 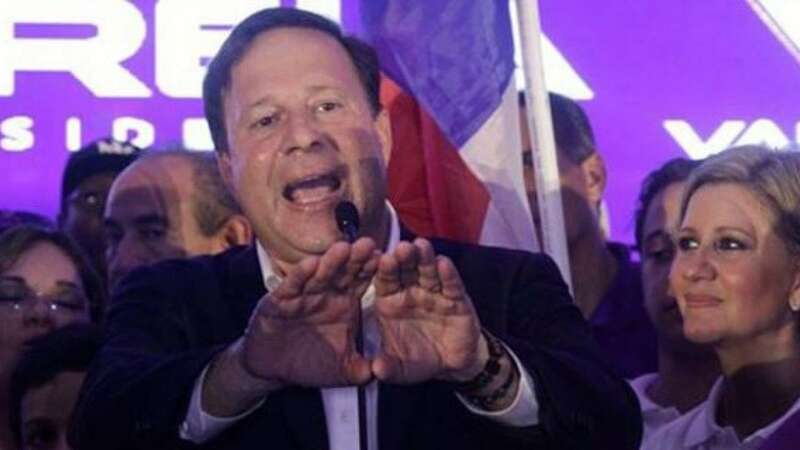 The movement's leader Anette Planells called on the deputies and the Varela government to comply with the Constitution and the law and sent a message to Panamanians: "Do not re-elect anyone. Let's look at the electoral offer for those candidates whose trajectory guarantees their promises. " Bills such as one that establishes the imprescriptibility of corruption offenses, "civil death" and the statute of limitations, and the one that regulates notaries, are filed in the Assembly's Government Commission pending debate. While the Executive dismissed at least five projects prepared by the Transparency and Access to Information Authority (Antai), which sought to punish conflict of interest and bribes, promote transparency, and audit declarations of assets. The initiatives were prepared by Anita in 2016 and, since then, they have slept on the desks of officials waiting for them to be considered by the Cabinet. On December 9, the international day against corruption, Angélica Maytín, director of the Antai) through Twitter, asked the Presidency of the Republic to approve a package of anti-corruption laws. The projects did not grab the interest of the Cabinet despite the fact that the number two axis of Varela's government plan, called "Zero Tolerance against Corruption", contemplated legislating on these issues. The one about the imprescriptibility of corruption offenses, , has a complex past reports La Prensa It was promoted by law students and citizen organizations, involved long days of discussion with the political bandwagon in between, and in the second debate, the Democratic Revolutionary Party and Democratic Change caucuses introduced several controversial articles. Juan Diego Vásquez, one of the law students who pushed the project, condemned what he called the "hypocritical attitude" of the deputies when rejecting dealing with "an issue as important as the fight against corruption." Agree. Something really stinks and I suspect we will discover more when he exits. Don't we always? I am so disappointed in Varela and embarrassed that I fell for his, gonna clean up the corruption, (para) agenda. I didn't have a vote but I would have voted for him if I had. He and his cronies have managed to slow walk any legislation which would have started the ball rolling. What next?